Hummus is a staple of Middle-eastern cuisine and is really healthy – especially if you make it yourself. 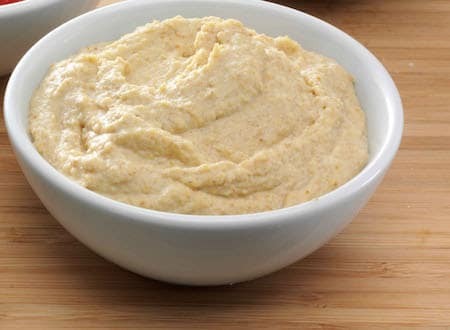 Where store-bought hummus is often high in processed ingredients, even sugar, homemade hummus is fresh and good for you. I like hummus with raw vegetables when I want a late-night snack. It’s low in calories and the salty taste helps get rid of any junk food cravings that have crept up since dinner time. 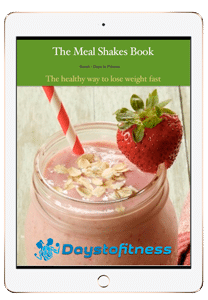 You can also use it as a dressing for salad, in place of butter on bread, mixed with tuna in place of mayonnaise or, as it is eaten traditionally, with lightly-toasted pitta slices. I love hummus and once you try this recipe, I’m sure you will too! Drain the chickpeas into a strainer and rinse under cool running water. Pinch the skins from each of the chickpeas; this will make your hummus smoother. Combine the chickpeas, olive oil, tahini, lemon juice, garlic, salt, and pepper in the bowl. Using your immersion blender, process the hummus continuously until it becomes very smooth, 1 to 2 minutes. Scrape down the sides of the bowl as needed to integrate any large chunks. Taste and add more of any of the ingredients to taste. If your hummus is stiffer than you’d like, add more lemon juice or olive oil to thin it out and make the hummus creamier. Add a few chili flakes if you want a spicier version of hummus. Scrape the hummus into a clean bowl and serve with pita chips or raw vegetables. Hummus will also keep for up to a week in a sealed container in the refrigerator.